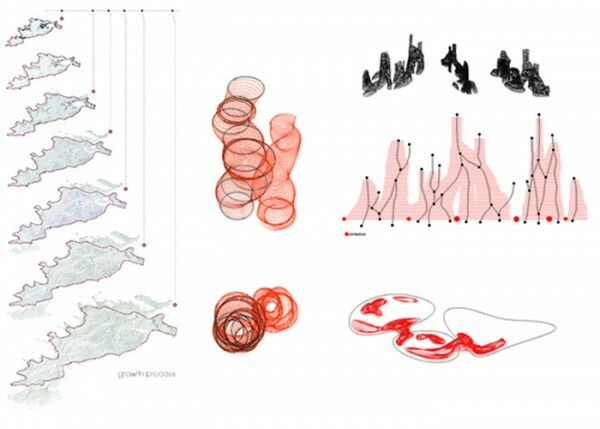 -The analysis of the urban morphology reveals a rhizomatic pattern in which a spatial structure is roughly recognizable. The constructions overlap randomly generating a chaotic in-between space of informal surfaces. -This urban structure reveals the historical lack of urban codes. -The space of the village is defined by fishing areas and crops, the public is residual, at first lacking a clear form of expression and intent. -Overall the urban spaces and infrastructures maintain their specificity, preserving a local scale of relations that seamlessly allow their integration within the natural landscape. The milieu of this project is the understanding of the relationship between two terms: natural and artificial. Its aim is the reconsideration, the “profanation” and re-description of these two adjectives that nowadays are framing a system of cultural/social/epistemological impasse. Our design seeks a responsive and relational approach in which the process becomes the active protagonist of the morphogenesis, defining scales, relationships and forms... The biological form of expression and its generative code are our political decision, the agents that filter and allow the pathology of two isolated antithetic entities, such as self-complacent buildings and naïve unproductive landscapes, to be resolved organically, at once. Nature is a fluid system of temporal emergences, which has to be scientifically analyzed to be then genetically modified. 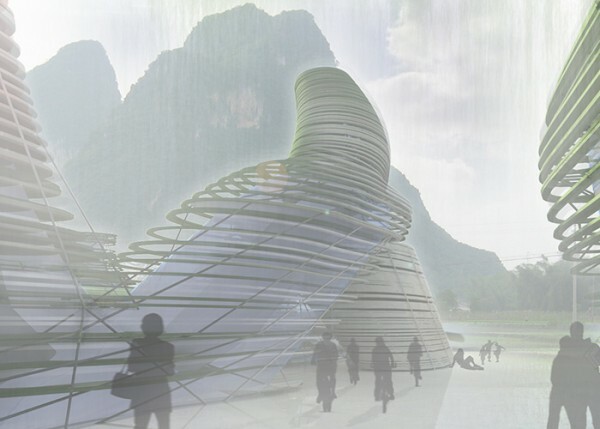 A parametric understanding allows a more thorough assessment of the environment and offers specific and complex design solutions that could integrate several systems and layers of information: ecological, social and spatial. 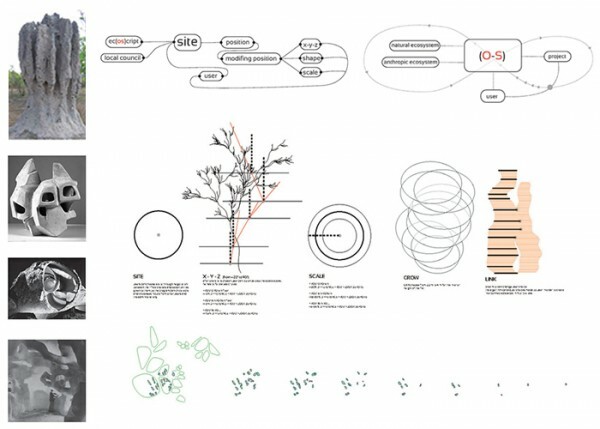 The project “ec(os)cript” schematizes an infrastructural intervention, evaluating and synthesizing several aspects and visualizing the island underlying data-scape to propose a symbiotic “material organization”. The continuous exchange, mutual relationships and definition of genotypic (existing conditions, materials, energetic landscapes) and phenotypic (users' will and environment continuous alteration) elements point towards a definition of an “epigenetic landscape”. 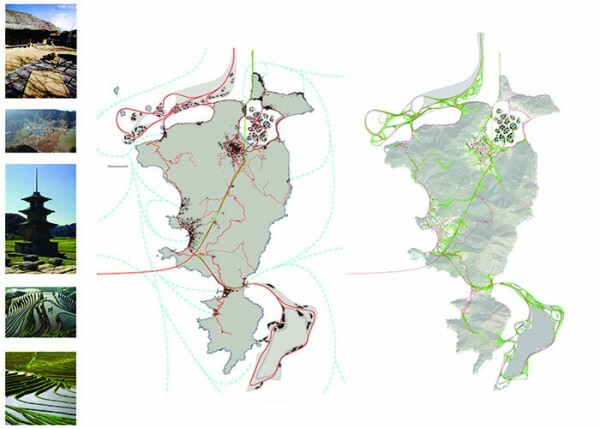 -the commercial aspect of the island and its future urban expansion as proposed by the competition brief, critically assessing which could become its future ecological thresholds. -at a macro scale a dynamic range and variable mixture of activities is constantly monitored and driven by the municipality. The overall relations, the monetary output and its commercial value can be precisely defined due to the constant exchange of information with the island rates of production. -at a micro scale the system resilience allows the users, actual and future inhabitant to define their proper niche, forming and protecting their vital scenario. At this level, formal and effectual relations can be manually operated by the users on the local code through the definition of parameters such as scale, proximity, mass, growth, inclusion, exclusion, openness, closeness, attraction, repulsion… the combination of these relations leads to a site-user specific architectural definition. The ongoing nature of the process enables different configurations. Framing multiple and potential scenarios and responding to the market contingencies has an implicit risk: being completely oblivious of the political implication that this freedom could cause and of the potential damages that the public space, the space of the collectivity, might suffer. We believe that the system boundaries should be tight enough to define punctually an infrastructure able to draw the distinction between what is labile, modifiable, vague and reprogrammable, in this case by the economic agenda of the market, and what should be on the other side the empty space of sociality. We tactically achieve the goal linking punctually and spatially the infrastructure, the system production and the public space. In this sense, although the process is free to be changed at different times/scales, the overall spatial qualities are defined, the masterplan could be temporally transformed but its pace of growth will remain unchanged. The infrastructure becomes a ground of possibilities, being a performative technical manufact and a public space at once. 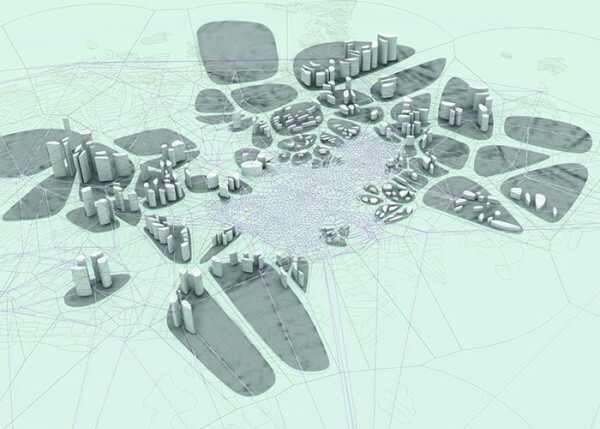 The project is therefore structured as follows: a superstructure at the level of macro-areas that connects the five big clusters (Nulcha, the new port, the airport, base 1 and base 2), a mobility that wraps around the primary cluster with a dense network of connections and a secondary pedestrian layer that goes inside the blocks. 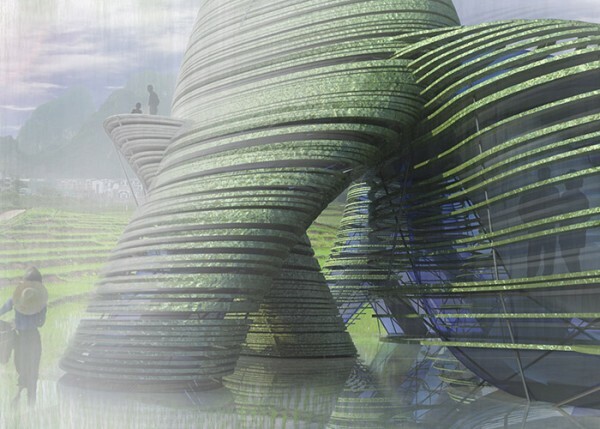 The “micro” defines the project core and the precondition necessary to its sustainability. 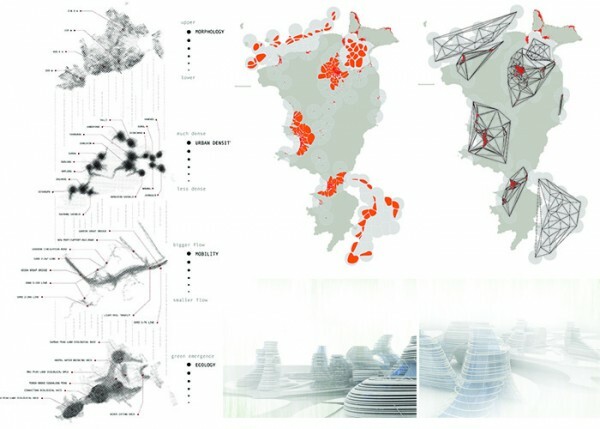 The masterplan is composed by the aggregation of ecologically independent clusters in which their entity - mixture, rate and volume of activities - has been defined at a macro level but their behavior could be locally corrupted and modified within certain flexible thresholds. Thus, potential flaws pertaining one cell affect the other components only partially protecting the overall functionality of the system. The “ec(os)cript” project is an ongoing process, an immanent subject whose configuration is flexible and tailored locally on the transformation of the territory and on the user will. Although the time is a dimension of every urban project, here it is embodied in the DNA of the process. 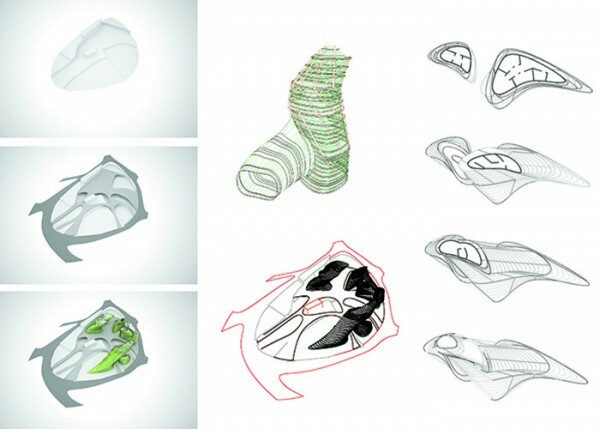 The configuration that we are presenting is just a fragment, a crystallized image extracted from a possible evolution. -active participation leading to a temporal subjugation to the operative system. 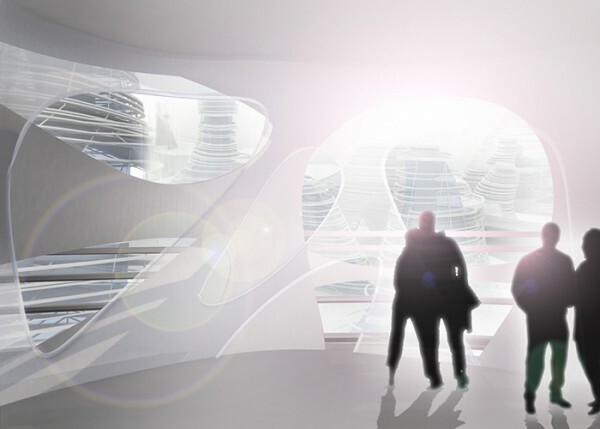 The user could take part in the collective arena constantly modulating and remodeling the future of the island. -passive “strategy of refusal” in which only very strict local and personal parameters can be changed.